last night ben wallace went 1-6 from the free throw line, 0-3 from the floor and won the game for the bulls 94-93. he got fouled with the score tied and with like 30 seconds or something left and made one his two free throws to take the lead. then on the next play he blocked brad miller’s shot and the game was over. so the piece i read was talking about how the block wasn’t surprising but the free throw was. 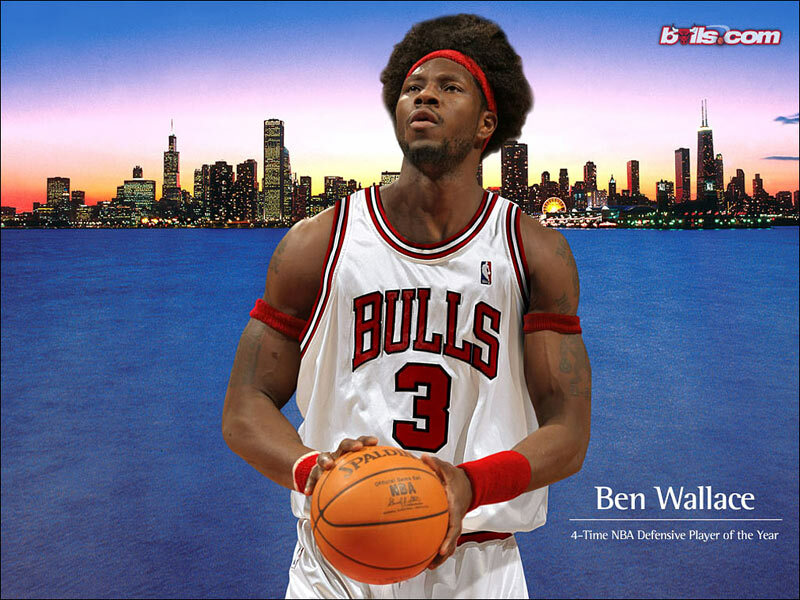 after all, ben wallace is a 4-time defensive player of the year and a career 41.9% free throw shooter. apparently he airballed one of his free throws. but if he’s a 41.9% free throw shooter, then it shouldn’t be surprising if he makes 41.9% of his free throws. that’s to be expected right? so i’m more surprised that he missed 5 free throws. i would have expected him to make 2 or even 3 of his free throws. so i guess making only 1 free throw is surprising, but not in the way that andrew seligman means. i like what ben wallace said about it best. “i already had some practice shots, so i needed to make one. the laws of physics, eventually one is going in.” at first i thought that he actually meant the law of expected values in probability. but i recently read fabric of the cosmos by brian greene and so i think about physics a lot more now. in a quantum mechanics kind of way, ben wallace is right. when he shoots his free throws, there’s a 41.9% chance that the electrons, quarks, taus, neutrinos, photons, higgs bosons, W and Z bosons, and muons (and possibly gravitons) will all align or move in such a way that he’ll make his free throw. not a great probability, i admit. but the point is that it will happen sometimes. and most likely it’ll happen more than 1 out of 6 times. in addition, it’s impossible for ben to really predict the effects of all of the observing (photons from the stadium lights and cameras, sound waves from the crowd, other electromagnetic waves in the arena, the higgs field, people watching) that is happening at a basketball game. so it’s kind of out of his hands whether his free throws go in or out. but he tries his best. i’m just glad he understands that he can only determine the probability that the situation will occur in such a way that he makes his free throws. that he gets it is way more important than winning that game. 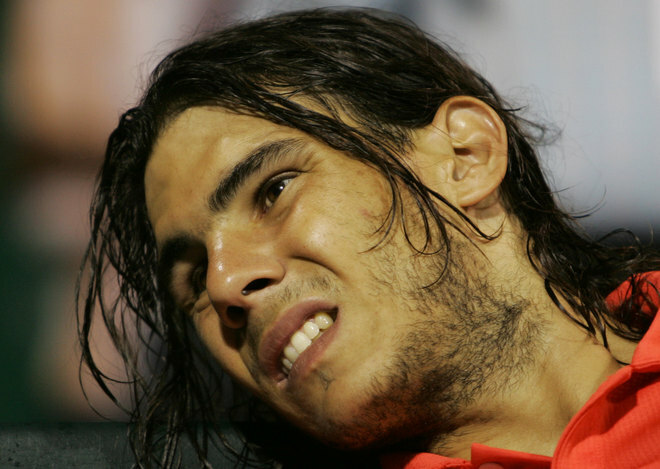 rafael nadal lost to mikhail youzhny in the chennai final. people are wondering about his fitness level (he played like a 4 hour match less than 24 hours before the final), but i’m wondering how long he’s going to keep his sweet beard. i’m always struck by the randomness of basketball — why these easy shots sometimes miss while people make these circus shots and it’s all based on court position and muscle memory. but i bet you a dollar nadal’s beard isn’t around for the australian open.